of juvenile macular degeneration. It is a progressive condition effecting the macula which is the part of the eye that normally provides the sharpest vision. 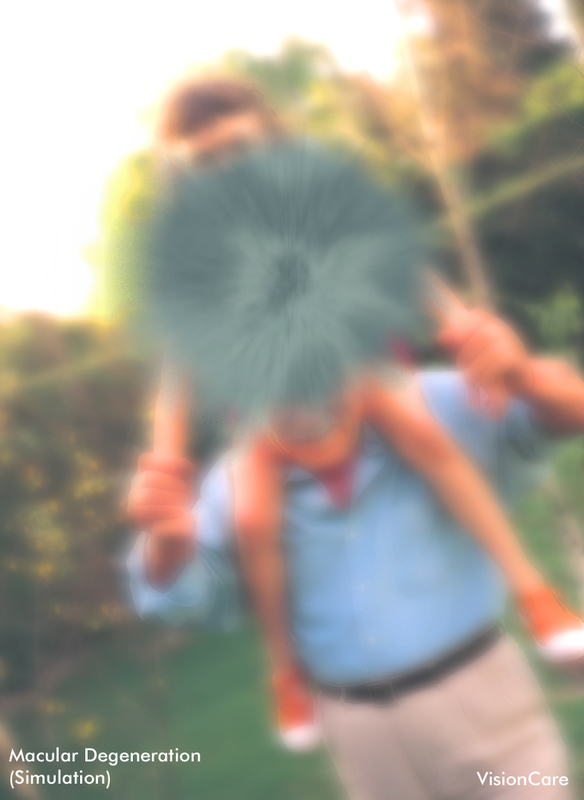 Symptoms of blurred vision typically develop by age twenty. How does Stargardt's Disease effect vision? 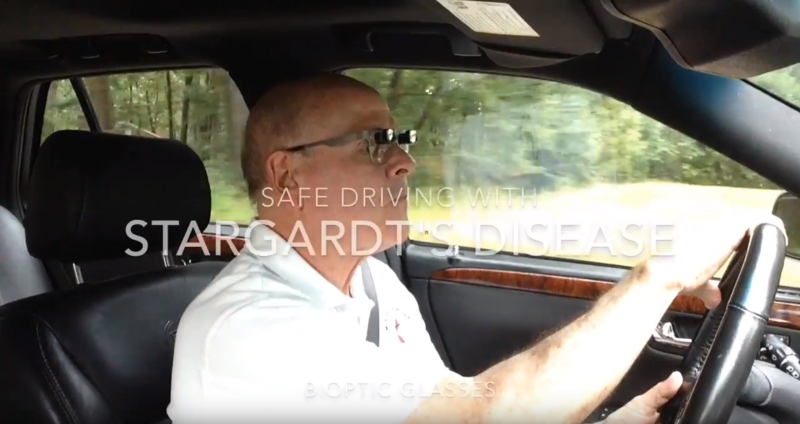 Stargardt's damages the part of our vision that is used for reading, recognizing faces and driving. Symptoms include wavy vision, blind spots, blurriness, reduced color vision and difficulty adapting to dim light. Will I go blind from Stargardt's Disease? No. Your peripheral vision will not be effected by Stargardt's. You will not become totally blind. Is there a cure for Stargardt's Disease? At this time there is no cure for Stargardt's Disease. What help can I get for Stargardt's Disease? 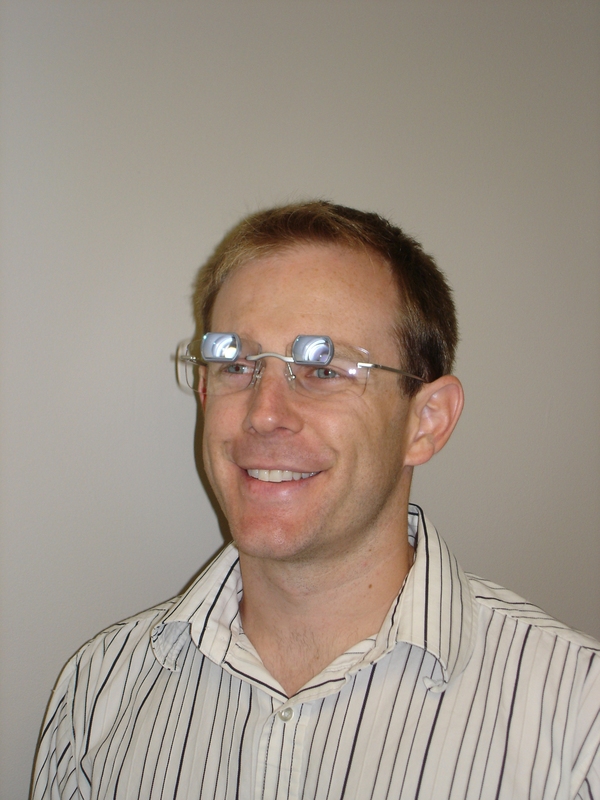 Dr. Armstrong has helped many people with Stargardt's by prescribing special glasses which magnify make things easier to see. There are examples below of several people who have been helped by Dr. Armstrong. Will I be able to drive with Stargardt's Disease? Many states issue special driver's licenses which allow people with reduced vision to drive while wearing bioptic telescopic glasses. The requirements for the bioptic license are different for each state. In Virginia the person must have at least 20/200 in the better eye without the telescope and 20/70 with the telescope. Peripheral vision must be relatively normal. Call Dr. Armstrong for information about the requirements in your state. 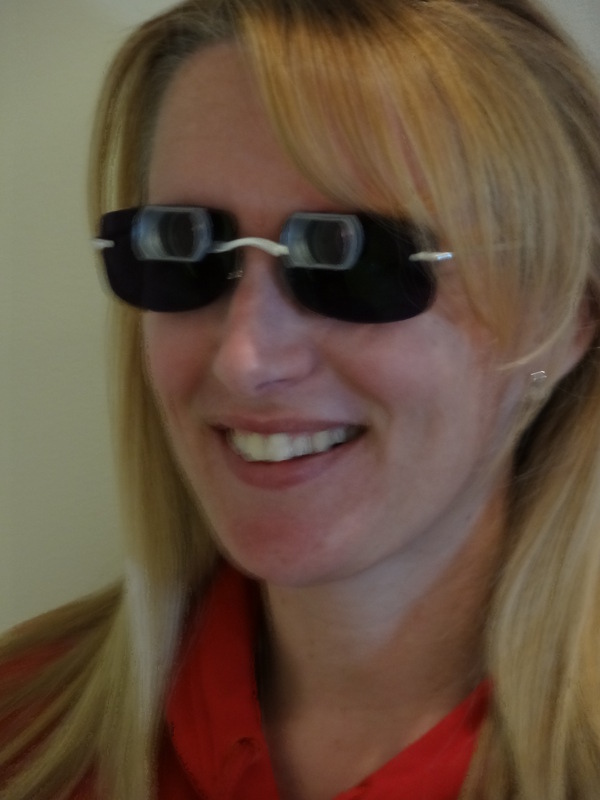 Kelly Henley has been driving safely with bioptic telescopic glasses for several years. The southwest Virginia man had to give up driving in 1996 because of his vision. Unable to drive, he had to retire from his work. 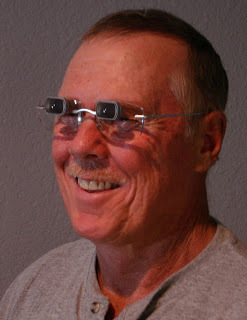 When Kelly came to see me he had not driven for 17 years, I prescribed bioptic telescopic glasses which allowed him to obtain a driver's license. Kelly is happy to be back on the road. "I wish I'd known about you 15 years ago" he told me. "When I first met Kris Cavanagh she'd had Stargardt's Disease for about 9 years and her vision was reduced to 20/120 in each eye. 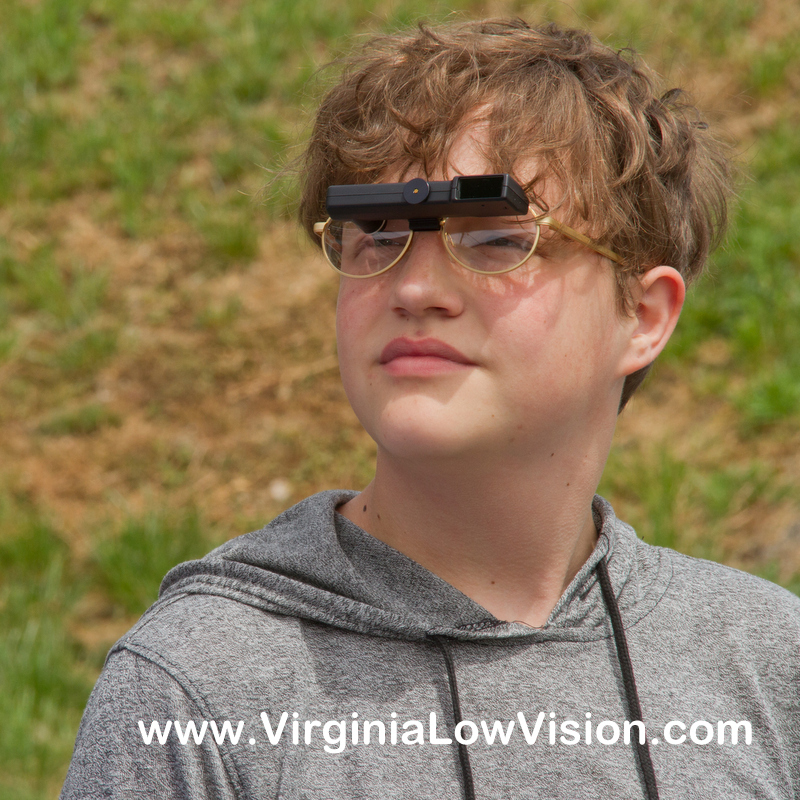 The bioptic telescopic glasses improved her vision to 20/60 and that qualifies her to obtain a special permit to drive in Virginia. She is quite light sensitive so I prescribed a dark tint in the lenses. Kris has a second pair of telescopic glasses that focus at 10 feet. They help her see TV much better. By adding a lens over the telescope she can use them to see her computer screen. Cynthia is a nice 54 year old lady who has had Stargardt's Disease since age 16. I prescribed a hand held electronic magnifier that she carries with her. She uses it to read recipes, prices when shopping. She has had the hand held for over a year and loves it. 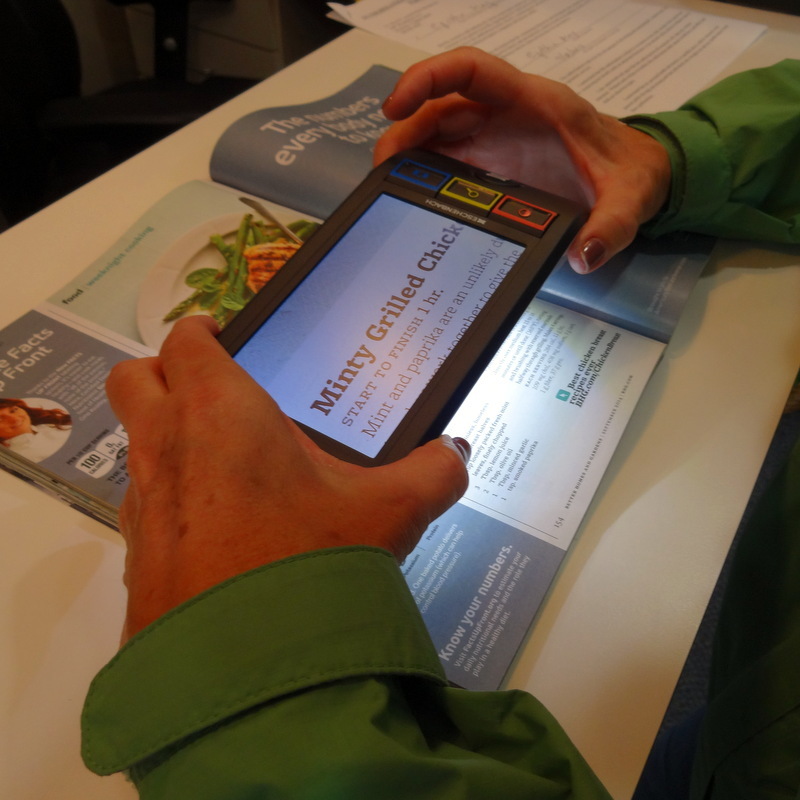 The photo shows Cynthia reading a recipe with the device.